The main scale of this simulator is graduated in inch, that is subdivided in tenths. In the dial, the pointer gives a full turn (360°) every tenth of an inch of advance (0.1 in) and its dial has a hundred divisions. In this way, each stroke that the pointer “sweeps” represents the 0.1 / 100 inch (one tenth of an inch divided by one hundred) or one thousandth of an inch. 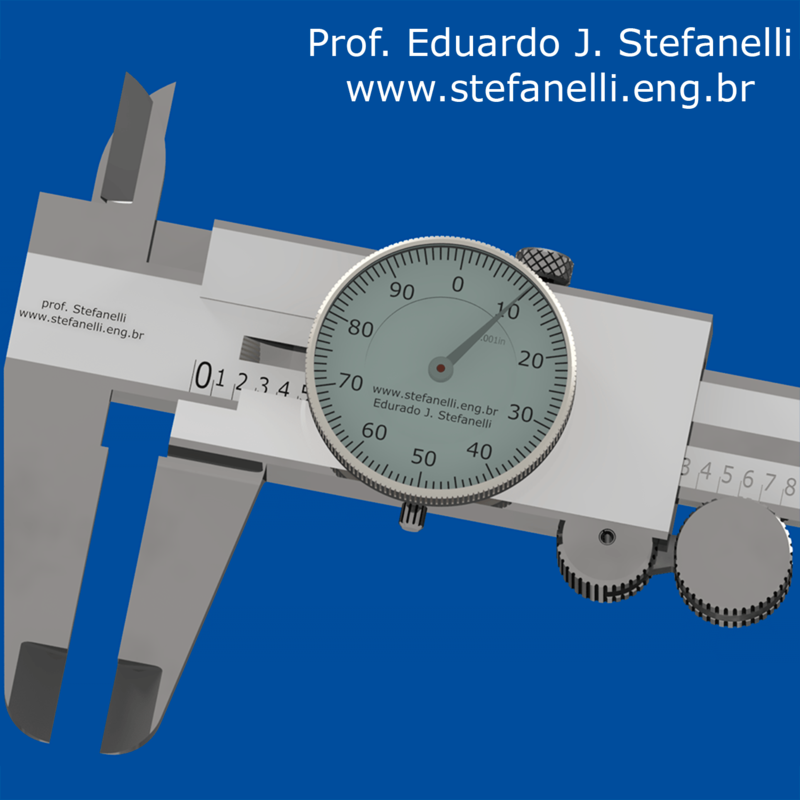 One advantage of adopting the dial to increase the caliper resolution, is that it allows the display to turn, after unlocked, to adjust the instrument and facilitate the inspection of tolerance of many peices without necessity of the interpretation one by one. One advantage of adopting the dial to increase the caliper resolution is that it allows the display to rotate, after unlocking, to adjust the instrument and facilitate the inspection of the tolerance of several pieces without the need to interpret each one. This instrument, as a rule, it can’t substitute the micrometer in one thousandth of inch, because its accuracy (imprecision between presented value and the real) is bigger than the resolution one. To improve the sensibility of this virtual caliper, click in the magnifying glass in the bottom corner of the screen. The resolution of monitor doesn’t allow that this virtual instrument interpolate each possibility of measure, if you wish to investigate this possibilities, interact with the simulator of dial indicator in one thousandth of inch and transfer what you have learned.